Next week, I'll be participating in a webcast to talk about all the new capabilities that we've added to IBM Connections Files and Communities. The webcast was put together by the team over at SocialBizUG.org. David Brooks, the lead architect for the IBM Connections platform, will be joining me just like he did at IBM ConnectED earlier this year. Our goal is to give you an update of all the cool things that are now part of the product. 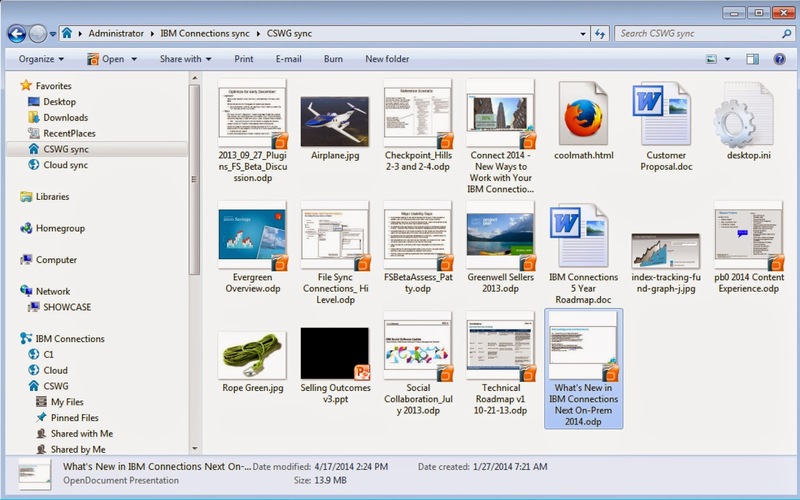 As a reminder, back in March, we introduced IBM Connections Files on Cloud, an easily accessible file sharing and sync offering. We'll talk about this new offering and recent upgrades to Connections Communities that allow seamless team communication and collaboration beyond traditional boundaries. To register for the webcast, click here. See you next week! If you missed it, here's the recording.